Intelligent Connected Lighting, Smartscape has been trusted as a Philips partner to help introduce to the market the future of lighting and what is the first of many releases to come. 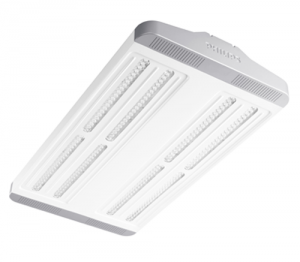 Check out the GreenUp LED High Bay series featuring wireless Zigbee technology. This fitting is simply connected to a mains supply and can be grouped into control zones via a simple remote control. Fittings can then communicate to each other using the wireless Zigbee protocol and can share occupancy and light level information for seamless control. Perfect for retro fits or new installs and avaialable in three sizes and three different beam angles. For more information on this product range please visit our product page here, where you will find the full product brochure, data sheet and IES files.